There are so many ways out there that people say is the “perfect” way to budget your money. People write whole books on how to help you budget your money. Some people even make a living off of telling other people how to budget their money. 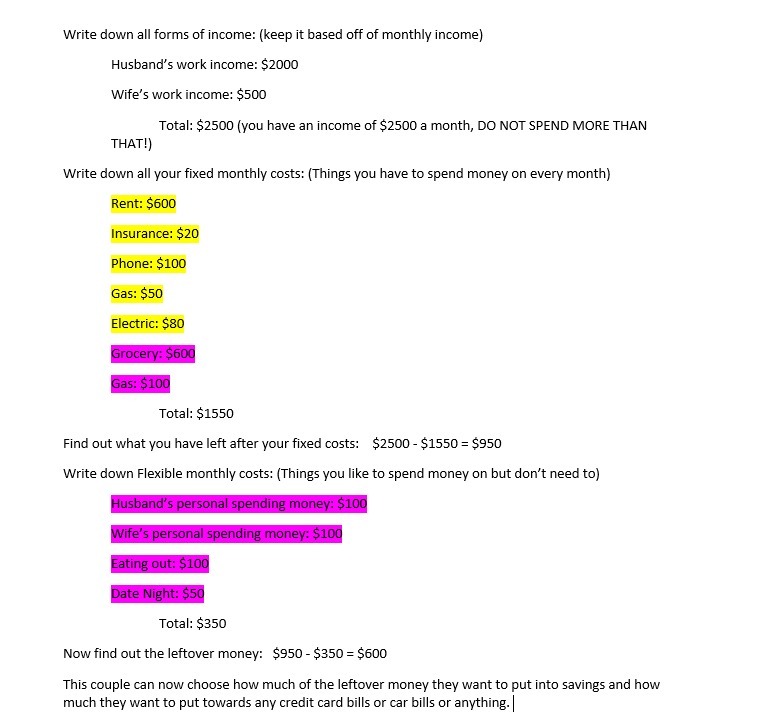 So this is some serious business that I am getting into right now but I am willing to do that to share this awesome way of budgeting that my husband and I have started using a couple months ago. Of course not every budget is right for everyone, that is why there are so many different ways to budget out there, but this is the one that has worked for us and my in laws so I am sure there are some out there that it can work for to. Before I get into the how’s of this budget system I thought I would talk a little about how my husband and I budgeted before the envelope budget. Pretty much we didn’t. We would sit down maybe once or twice a year and write up what we thought the budget should look like and how much money we thought we should be spending in each category each month but after that it would sit in the excel folder until the next time we decided to revise it. That led to us spending money whenever we wanted on whatever we wanted especially in the beginning of the year after we get our tax money back. After doing this for about 2 years we sat down again to write up the suggested budget(that’s what it had become really, just a suggestion) and we found out that we were spending well over our monthly income and that’s when we knew we had to change something before things got bad. That’s when we remembered hearing about the envelope budget from my in laws and how after only a few months of using it they were already paying off huge chunks of their credit bills and car bills and their mortgages. We decided if it worked for them than it might work for us to. Let’s jump right into the envelope budget and you will start to see how it could help your family save tens, hundreds or even thousands of dollars every month. To start your envelope budget you first need to write out a budget. You can do this just with a pen and paper or my husband would suggest using Excel. It is really a great tool, especially for budgets. 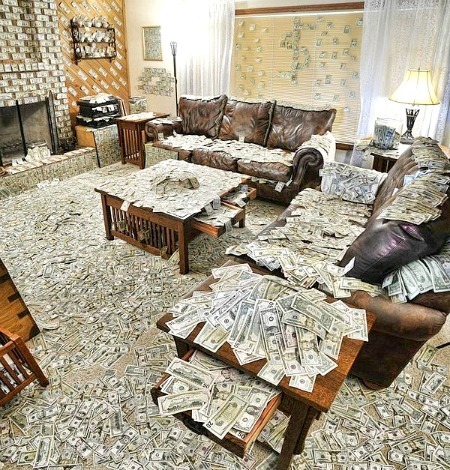 One important thing to remember when writing up a budget is to keep all amounts in the same variable. So you don’t want to write down the car payment as a yearly amount but then write down your rent as a monthly cost because then the math won’t work so make sure to convert everything to monthly, it makes things a lot easier. Below I will post a picture of the steps to take for making a budget. The budget I used was made up and of course you should use your own numbers when writing your budget and add or remove any categories that do or don’t fit into your families budget, I did not include a car payment below but that is something many people have. Now that you have your budget written out I will tell you what the highlighted values are. The values highlighted in yellow are things that my husband and I personally have chosen to do direct deposits for every month. The values in pink are the parts of the budget we will actually take out and use as cash. Before we go on I need to share one of the most important rules of the budget. Besides the direct deposits you should not be using your cards, credit or debit, to buy anything. Sometimes there will be an emergency and when that happens you need to remember to put the same amount of cash aside from your spending money that you used the card for. Now comes the fun part. The envelope part of the envelope budget. At the beginning of every month, usually on our way to the grocery store for our first grocery trip, we stop by the atm and we withdraw the total amount of money we need from the budget. The couple above would be removing $1050 every month. After you take out the money you then need to have one envelope for each category that the money goes to. So the above couple would have a Date Night envelope and a Wife envelope and a Husband envelope and so on. Divide the money to each envelope that it goes to and for the rest of the month when you want to go out to eat you can only do so if you have money still in the Eating Out envelope. 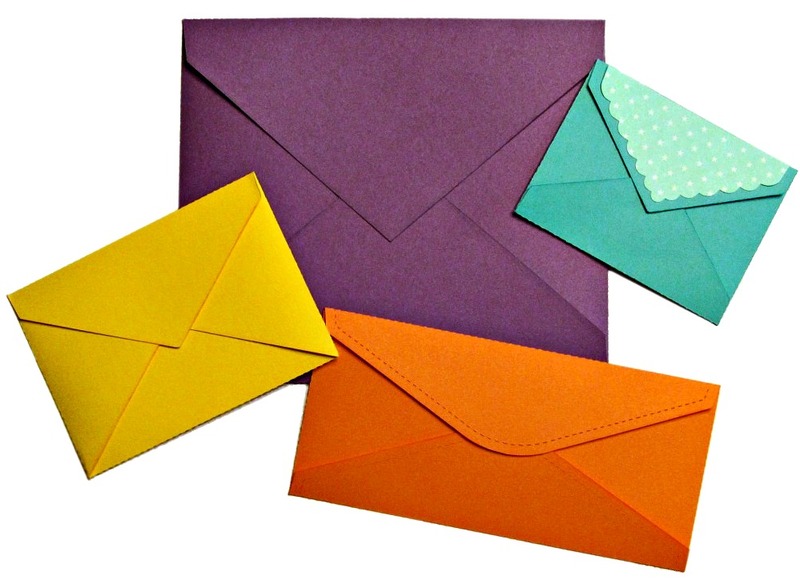 Once an envelope is empty you can no longer spend money for that category. This is a pretty simple budget but it can be hard at times to stick to especially if you see a cute top at the store but it is $10 more than you have in your envelope so it is a great motivator for saving your money to eventually buy something good. Right now I am saving up for a maternity clothing shopping spree because I literally can no fit into any of my clothes! One more thing I want to go over is what to do if there happens to be left over money from some of the categories. For our family we save our own personal money for the wife and husband envelopes for something worth buying but when we have left over money from the other envelopes we put it aside until it adds up to at least $100 and instead of taking out the normal amount in the beginning of the month we take off $100 and use the cash that we already have on hand. So another way to help save money even if that way is only a little at a time! We have been able to save about $1000 in the past 2 months because of this budget and now that my husband got a raise recently we have decided to stick with the budget for his last income so we can save even more money towards a house that we are planning on buying this upcoming winter. Without this budget we would be a lot farther away from buying a house than we are now! If this sounds like something that would work for your family than try it out! You can also ask me any questions in the comments and I will make sure to get back to you as soon as I can!